That way I won't be the odd one taking photos of everything during the meal :P The joy of dining with a fellow food bloggers ! 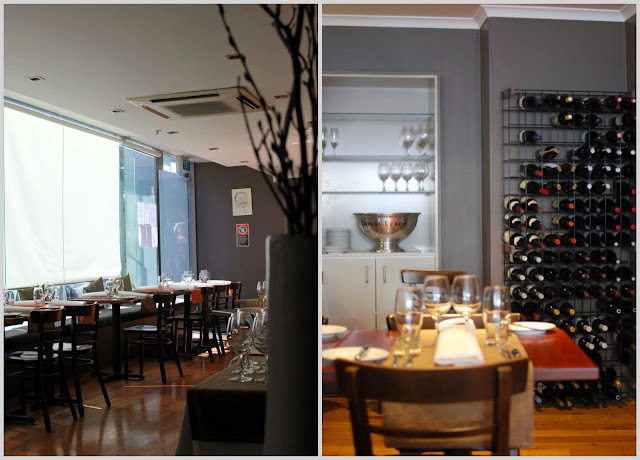 This One Hatted restaurant offers Japanese/French cuisine, headed by Chef Harunobu Inukai who was the chef at Galileo before opening up his own restaurant in Elizabeth Bay 2 years ago. 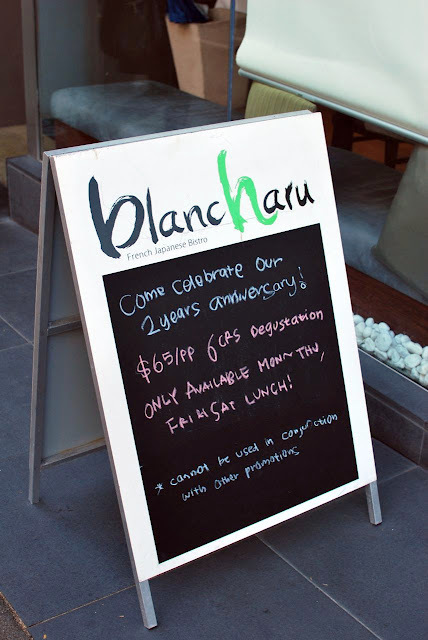 To celebrate their 2nd Anniversary, throughout the month of August they have a special 6 Course Anniversary Degustation for just $65. 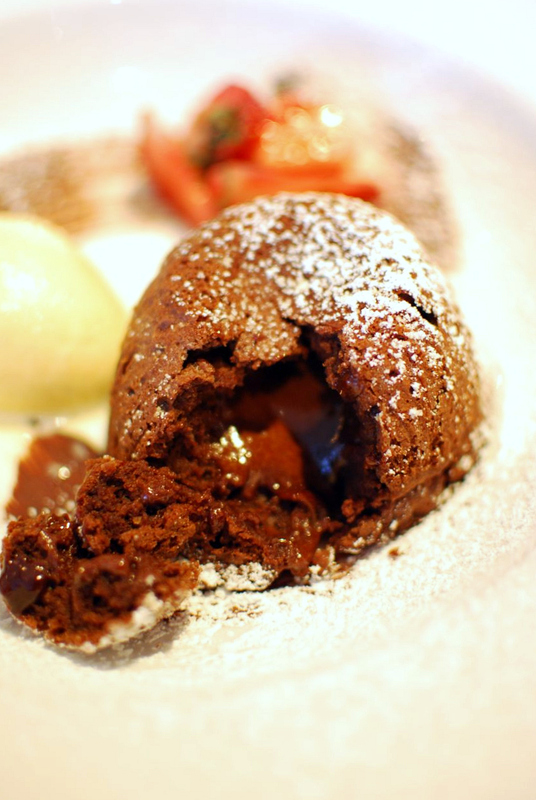 The offer is only available from Monday - Thursday for dinner, then lunch on Friday & Saturday. I must say, the restaurant is a little bit hard to spot, I drove past it 3 times before realizing it was there. It is within short walking distance from the Kings Cross Parking Station, if you are driving, otherwise it is easily accessible by public transport as well. 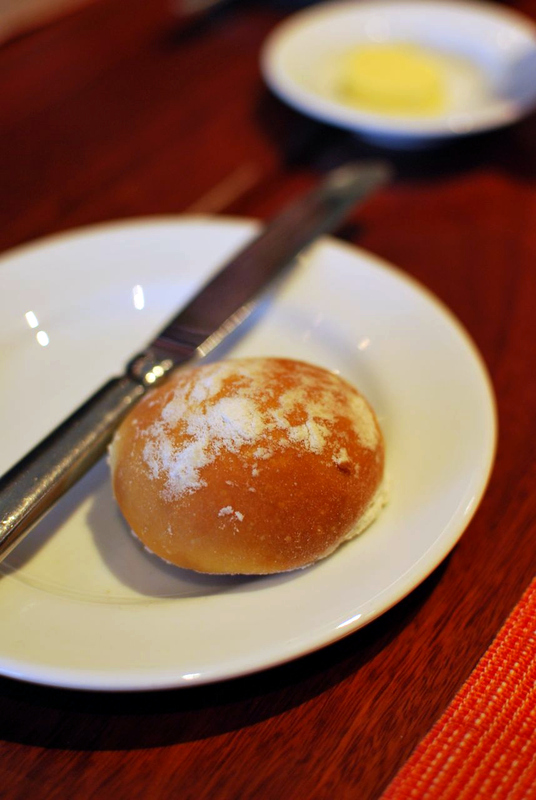 To start us with, we were to choose from the basket of warm sourdough, French Onion or the Plain. I chose the first since the smell of french onion is just so irresistable. There were bits of french onion throughout the roll, sweet and salty perfect when generously lathered with cold butter. 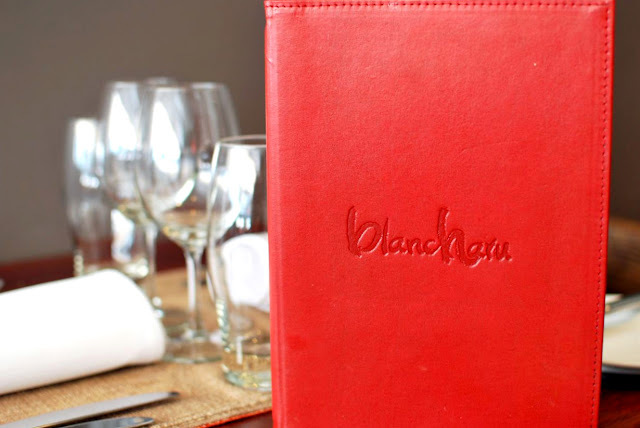 The interior of Blancharu is simplistic but yet classy at the same time. Warm colours of brown and red were used throught the restaurants. 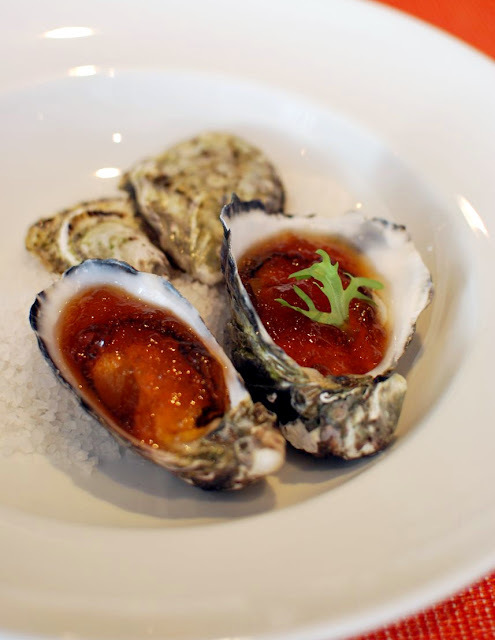 The Tasmanian Pacific Oysters were huge ! So plump, juicy and really fresh. The Tosazu jelly is based on a Japanese dressing made simply with soy sauce, vinegar and dashi. It was a refreshing and delicious dish. 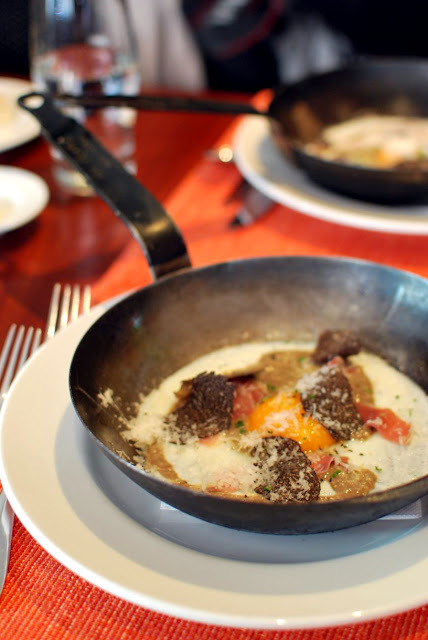 The second dish comes in this uber cute skillet and the smell of earthy black truffle is unmistakable. Everything on this plate is just amazing, the egg yolk was thick and gooey and the prosciutto adds flavour to the otherwise plain egg. The bonus ? The generous amount of thick slices of black truffles on this dish ! I am not a big fan of foie gras (wot?!?! I know, just not a fan of liver in general :P) so I was a bit worried when this was in the menu. After the first spoonful.....what on earth was I worried about before *throwing worry out of the window*! 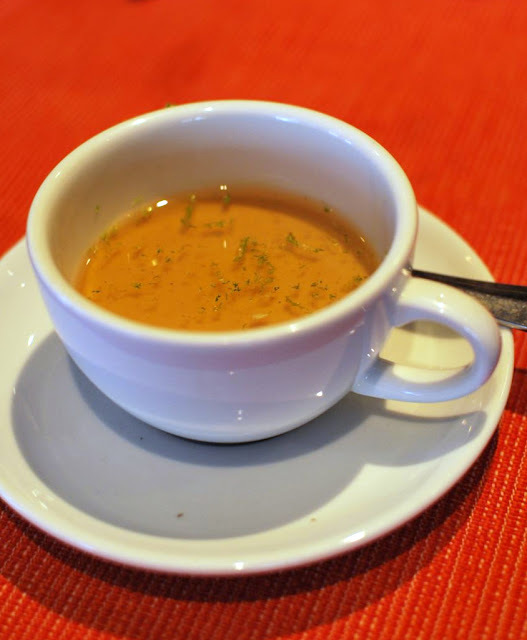 The foie gras flan is topped with dashi broth and sprinkled with lime zest, served in a tea cup. It was creamy, the liver taste is not too overpowering and the richness of the dashi and the zesty lime just bring all the flavours together so well. Just need one word to sum it all up : HEAVEN..... (food heaven). The waiter return with the basket of warm sourdoughs again as we wait for the mains to be served. Chose the plain one this time and personally I think the plain one is actually tasted better than the french onion one. 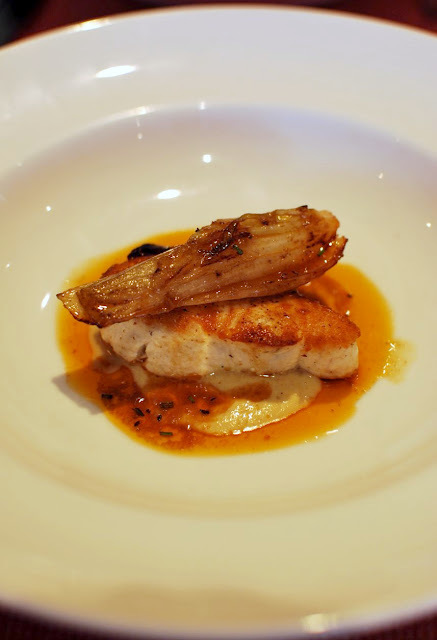 Poisson du Jour, the fish of the day is pan seared blue eye cod with braised fennel, fennel creme and bisque broth. The fish was unfortunately a little overcooked as it was quite rubbery and dry. Otherwise, it was a very nice dish. The fennel was braised till tender and caramelised, the bisque broth was packed with rich flavours of the crustaceans. 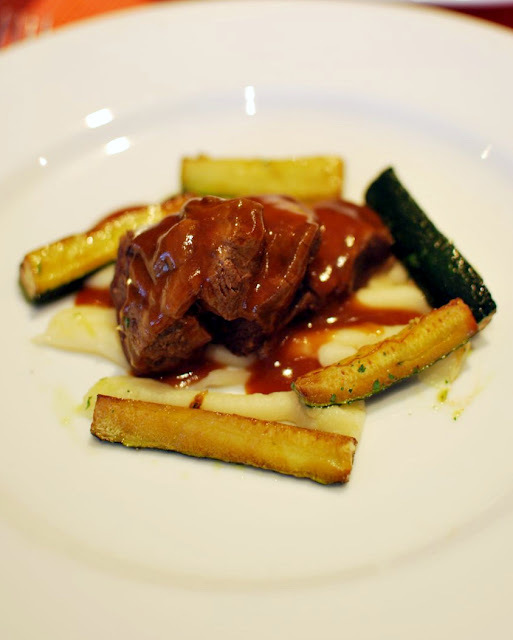 The lamb was cooked for 11 hours till very tender and served with hatcho miso, a thick and sweet miso. Although the lamb was tasty, we think that the mains didn't have the same impact as the three amazing entrees we had earlier. The entrees had more interesting flavours and textures that really tickled our tasted buds which I had expected to carry through to the mains. 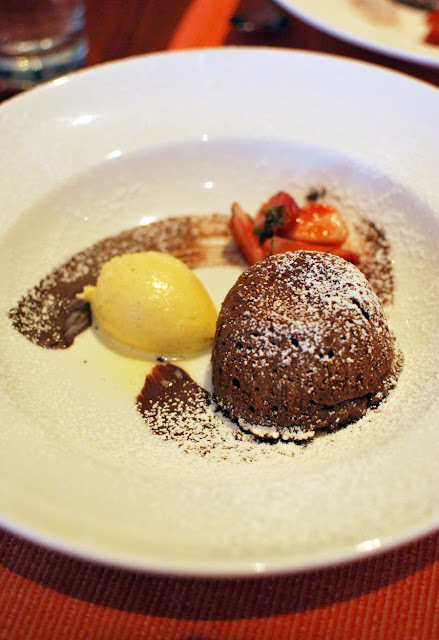 The fondant was light and spongy on the outside and the inside, well...the picture speaks for itself. It was a perfect end to a wonderful meal. 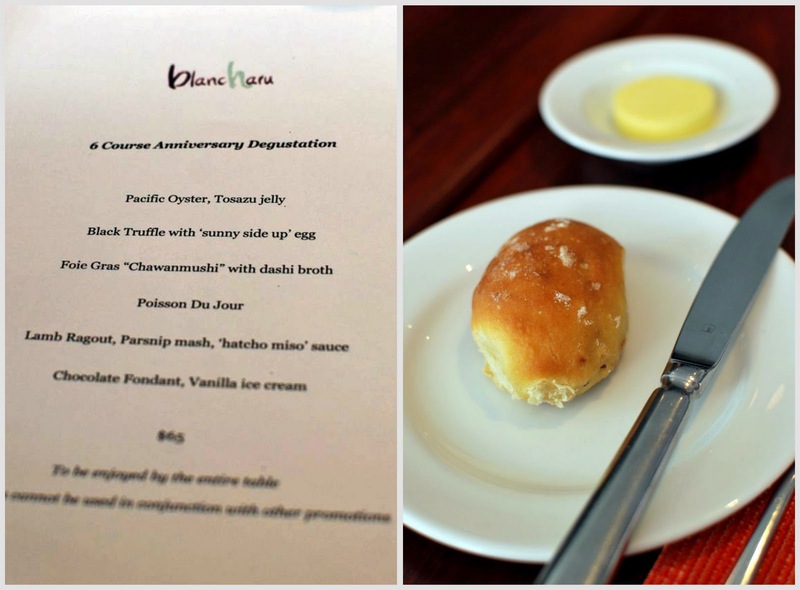 The Anniversary Degustation menu is a perfect way to experience what Chef Harunobu Inukai has to offer, it seems like the menu has been designed to showcase their signature dishes. 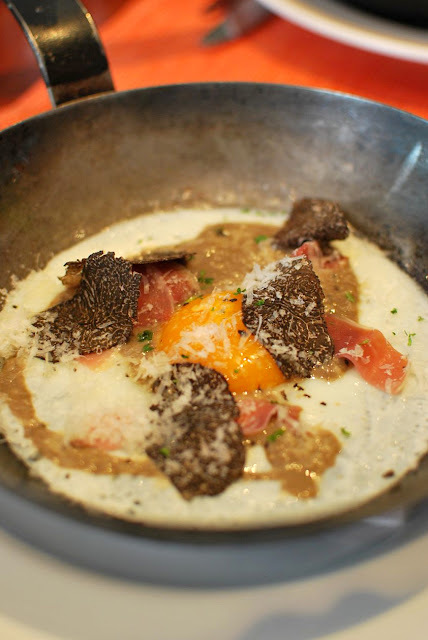 Especially the black truffle sunny side up egg and the heavenly foie gras chawanmushi. The serving size was surprisingly very generous, especially for the price we paid for. We were practically dragging ourselves out of the chairs because we were so full by the end of the meals. August is ending soon, so make sure you make your way to Blancharu for their special degustation menu !